(Trent Nelson | The Salt Lake Tribune) The Coal Hollow Fire burns along Highway 6 in Utah County, Friday Aug. 10, 2018. (Trent Nelson | The Salt Lake Tribune) Smoke from the Coal Hollow Fire fills the air in Spanish Fork, Friday Aug. 10, 2018. (Trent Nelson | The Salt Lake Tribune) The Coal Hollow Fire burns along Highway 6 in Utah County, Friday Aug. 10, 2018. (Trent Nelson | The Salt Lake Tribune) The Coal Hollow Fire burns along Highway 6 in Utah County, Friday Aug. 10, 2018. (Trent Nelson | The Salt Lake Tribune) The Coal Hollow Fire burns along Highway 6 in Utah County, Friday Aug. 10, 2018. (Trent Nelson | The Salt Lake Tribune) The Coal Hollow Fire burns along Highway 6 in Utah County, Friday Aug. 10, 2018. (Trent Nelson | The Salt Lake Tribune) Smoke from the Coal Hollow Fire fills the air in Spanish Fork, Friday Aug. 10, 2018. (Trent Nelson | The Salt Lake Tribune) The Coal Hollow Fire burns along Highway 6 in Utah County, Friday Aug. 10, 2018. (Trent Nelson | The Salt Lake Tribune) The Coal Hollow Fire burns along Highway 6 in Utah County, Friday Aug. 10, 2018. (Trent Nelson | The Salt Lake Tribune) The Coal Hollow Fire burns along Highway 6 in Utah County, Friday Aug. 10, 2018. (Trent Nelson | The Salt Lake Tribune) Smoke from the Coal Hollow Fire fills the air in Spanish Fork, Friday Aug. 10, 2018. (Trent Nelson | The Salt Lake Tribune) The Coal Hollow Fire burns along Highway 6 in Utah County, Friday Aug. 10, 2018. (Trent Nelson | The Salt Lake Tribune) The Coal Hollow Fire burns along Highway 6 in Utah County, Friday Aug. 10, 2018. (Trent Nelson | The Salt Lake Tribune) The Coal Hollow Fire burns along Highway 6 in Utah County, Friday Aug. 10, 2018. (Trent Nelson | The Salt Lake Tribune) Smoke from the Coal Hollow Fire fills the air in Spanish Fork, Friday Aug. 10, 2018. 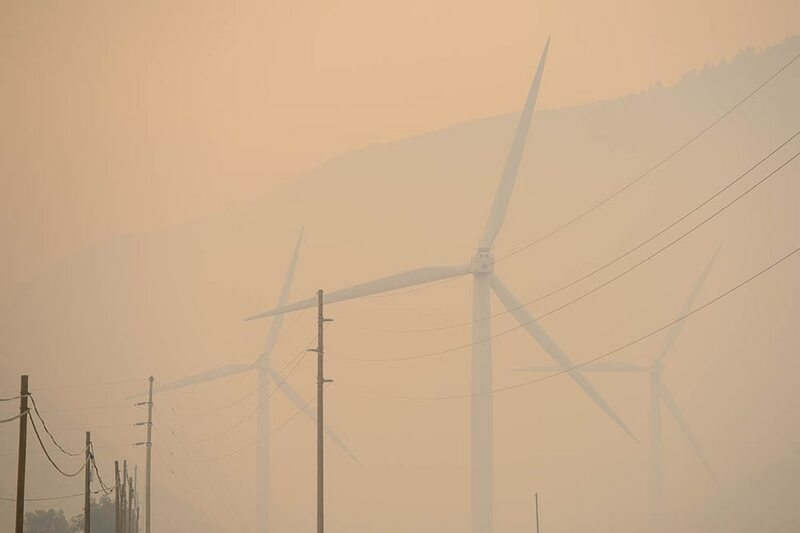 The Coal Hollow Fire in southeastern Utah County isn’t showing signs of slowing, burning through more than 3,000 acres from Thursday night to Friday afternoon and blanketing parts of the county in thick smoke throughout the evening. The fire — which on Thursday caused the closure of State Route 6 and spun up a so-called fire tornado — is estimated at 18,000 acres as of Friday night, according to a news release from state fire officials. The Coal Hollow Fire was burning about 15 miles southeast of Spanish Fork. Fire crews have been unable to contain the blaze. 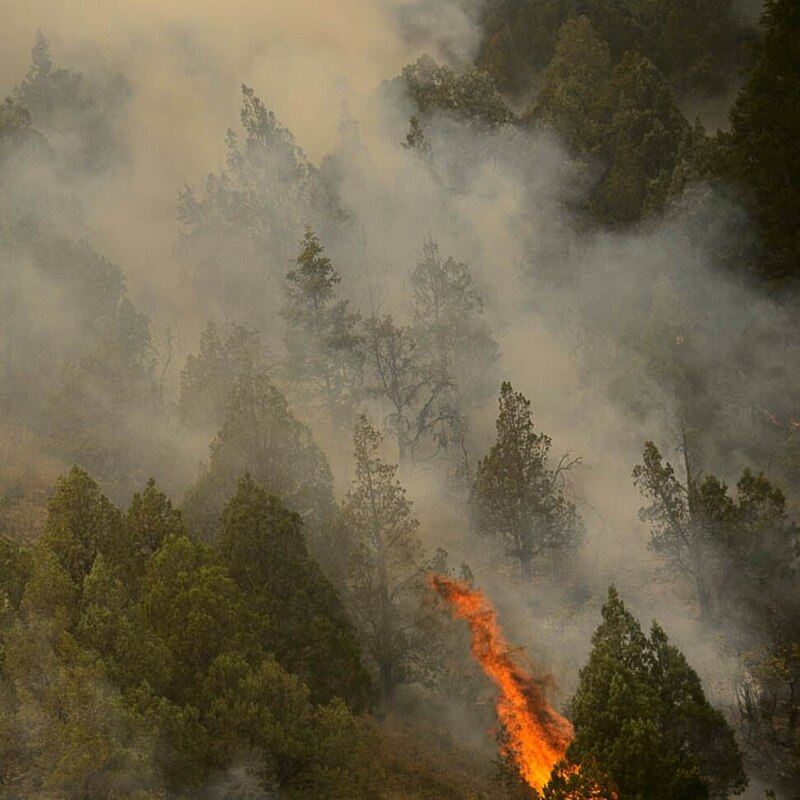 Crews reported early in the day that fire lines were holding on the blaze’s northwest side, but the blaze crept north, toward Sky High Spring later. Firefighters haven’t gained as much ground on the eastern and northern edges, because of difficult terrain and abundant dry fuels. By Friday evening, officials had closed Sheep Creek Road because of the fire. It is expected to be closed until Sept. 30. The blaze has been sending heavy smoke into neighboring communities, and it caused Spanish Fork events to be canceled Friday evening, including a movie screening in a city park and a Spanish Fork High School football scrimmage. Due to poor air quality the red and gray scrimmage football game has been canceled. The air quality index in Utah County on Friday evening was 38.7 micrograms per cubic meter, meaning the air was considered unhealthy for sensitive groups, like the elderly or children, according to the Utah Department of Environmental Quality. The ozone levels for the county ranked as unhealthy, at 0.086 parts per million. While the inversion-like conditions are harmful to residents, fire officials said, they do slow fire growth. Weather is expected to remain hot and dry throughout Friday, but forecasters predict a chance of thunderstorms over the weekend. If storms roll in and the inversion lifts, that atmospheric instability could further fuel the fire and cause it to behave erratically, according to the news release. More than 300 people are assigned to fight the Coal Hollow Fire, some of them coming from the nearby Hilltop Fire, which crews have nearly contained. Firefighters have made “excellent” progress on the 1,860-acre wildfire that was burning about 6 miles north of Fairview in Sanpete County. 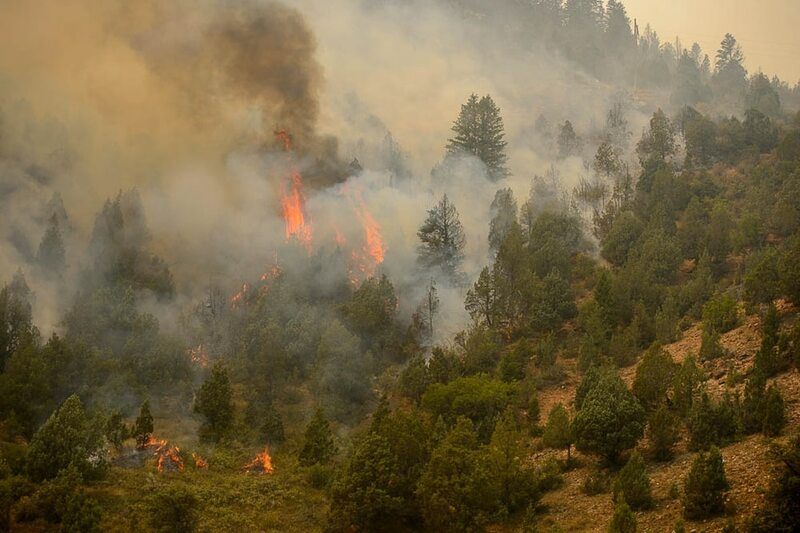 Crews have established fire lines around the perimeter, and the Sanpete County Sheriff’s Office lifted evacuation orders for residents in the area Friday morning, according to the news release. That fire was about 80 percent contained.